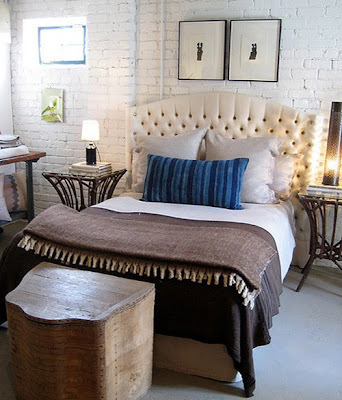 A bedroom vignette from NK Home, a Los Angeles shop recently opened by designers Todd Nickey and Amy Kehoe. Formerly a casting agency, the store has a collection that Nickey says ranges "from refined to utilitarian, rustic to Mod, 19th century French to 1960s Dutch." Kehoe says the shop is an extension of their design sensibility -- "what we love, what we collect and how we put things together."